Hi there and merry Christmas to all, I have posted a couple of pics of my 36 Volt C5. The 2 buttons on the right hand handlebar are used to select 24v and then 36v while pressing the left hand power button at the same time. 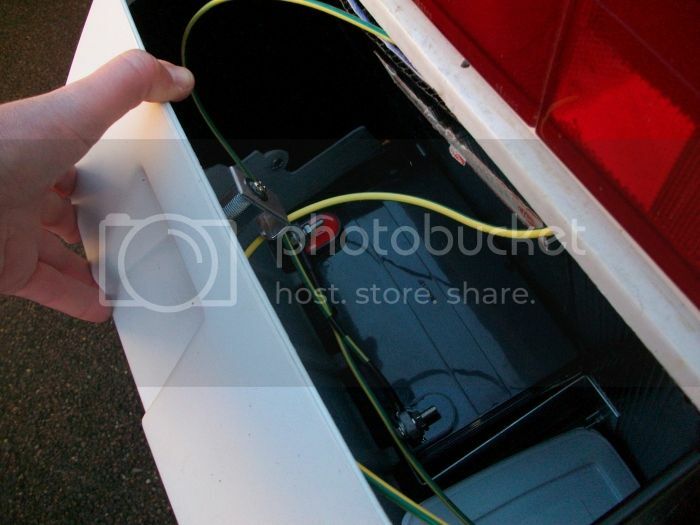 I have put the 3rd 12v scooter battery in the boot as you can see. I had a ride out today and managed 35 mph downhill, and 28 mph coming back up the hill. I am using the most powerful cooling fan I can for the motor, and I can not use 36v for too long at the moment as the motor does heat up rapidly (un-surprisingly) - have to say it's a real blast, and the power and coast technique still allows rapid progress. 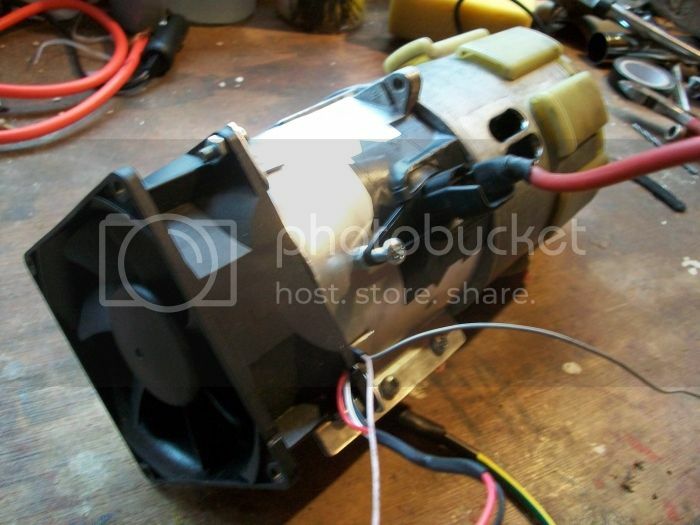 I am looking at a way of fixing the magnets in the motor housing to prevent them from parting company with the casing when the resin melts at high temperature, this is more of a precaution and I have a temperature gauge to monitor the motor temperature. Till next time, Merry X-Mas and see you soon. 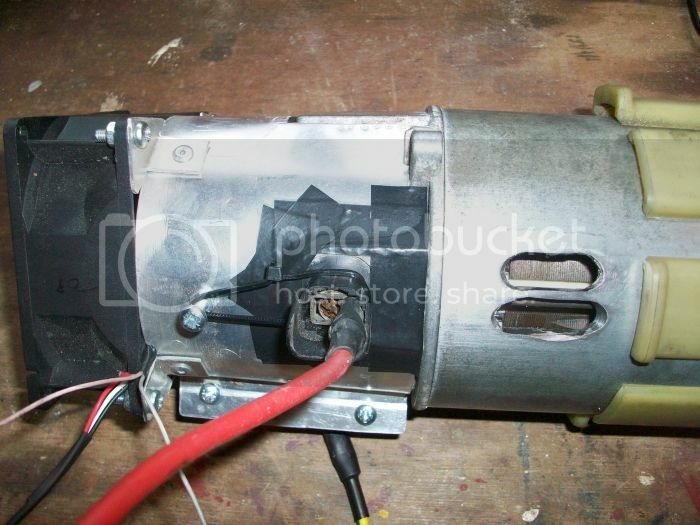 This a standard motor ? It's standard motor at the moment but I'm planning to make some additional holes for increased cooling and stick magnets with the structural adhesive to minimise the problems of high temperature operation. Hi there and happy new year to all. Thought I'd just update you on some mods to my 36V C5. 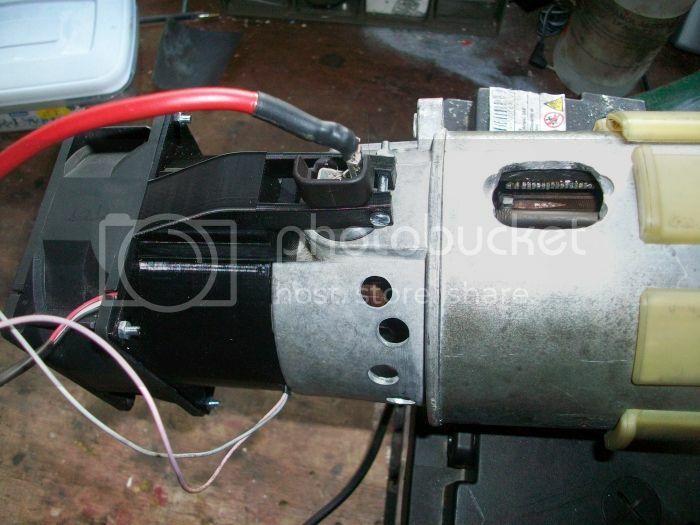 As you will see in the photos I have drilled some holes in the motor casing which has greatly improved airflow through the motor, around the commutator, armature and brushes. I had a lucky escape a couple of weeks ago - was out on a test run and forgot to switch the cooling fan on (hadn't got the cooling holes in motor then either) - had a really good fast run and wasn't paying attention to the motor temp gauge - suddenly realised the reading was climbing into the 90's degree C. Switched fan on and pulled over - the temp peaked at 102 degree C before it started to drop. I feared the worst but after cooling down was able to ride home, mainly on 12v power only. I couldn't believe that when I stripped the motor to service it and modify with the cooling holes there was no damage whatsoever. 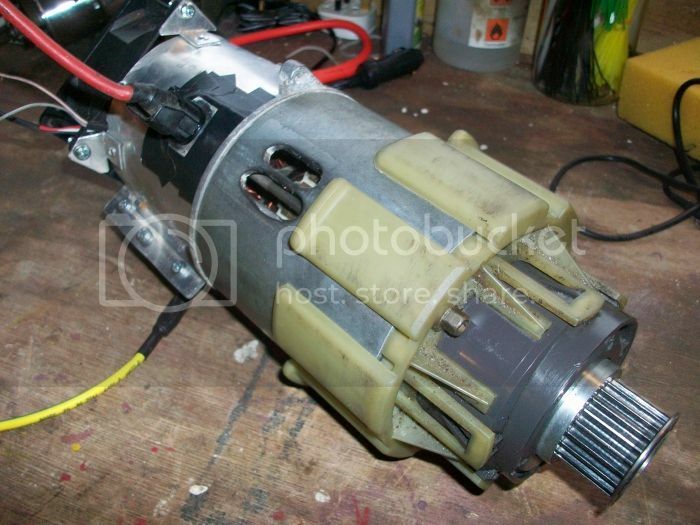 I have got a spare new motor and was expecting to need to fit this, but after stripping the cooked motor, I replaced grease in gearbox (with metal insert), drilled cooling holes, all cogs, armature, brushes in good order, magnets still stuck to casing. The motor in the pics is the one I cooked but runs fine after service, haven't had chance for a long run yet but test runs all ok.
Will let you know when I get a chance for some long runs what difference the cooling mods make, but I can tell by the amount of air coming out of the holes it should make quite a difference. Will do, hoping to get a run out later this week - it ain't pretty but I'm hoping it should be pretty effective! Great job Sounds like you were lucky with the temperature hitting 100°C I've had a different idea for trying to cool down my plain 24v machine by drilling extra (small) holes in the light coloured plastic bit that the gearbox sits on. It already has holes for ventilation but theres probably room for more. 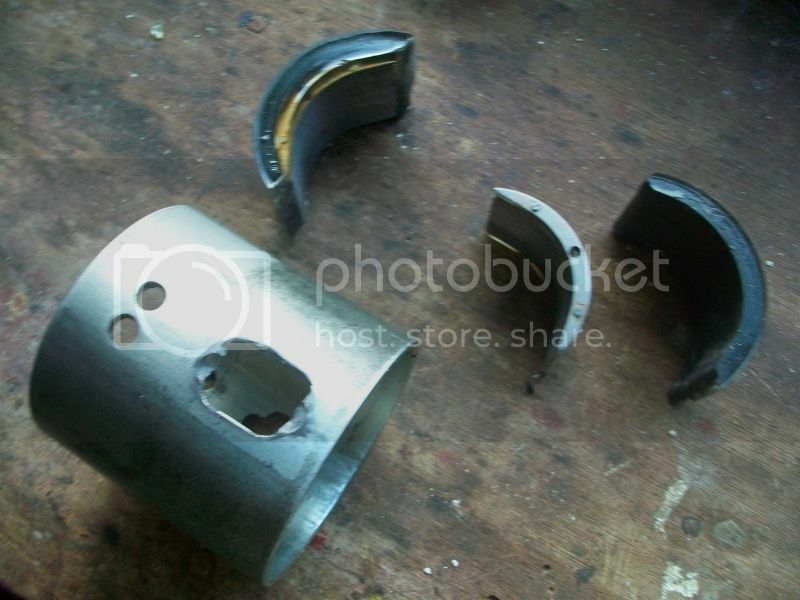 Have you had any problems with the 3 small cogs disintegrating at high speeds? Motor cooling update - had a ride out yesterday and didn't get more than a quarter of a mile when the motor started making some unusual noises - only got up to about 40 deg c motor temp - anyway, made it home, and while running the motor freestanding it seized - I stripped it and found one of the magnets has become detached and was resting on the armature. 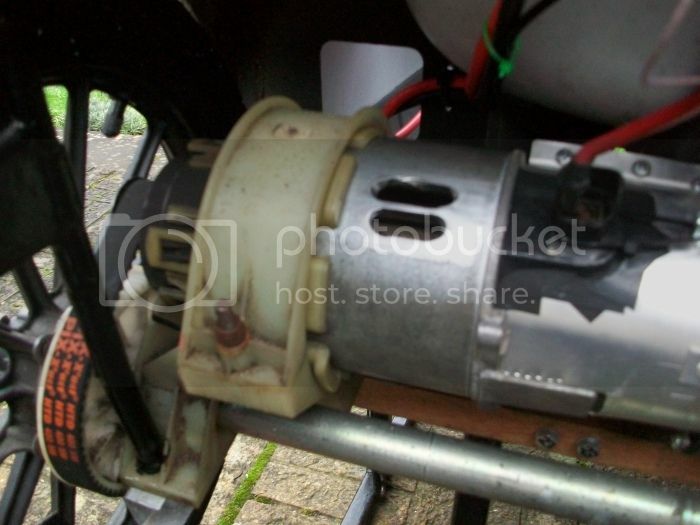 I think this motor casing may have been cooked before as I got it second hand, and didn't do any appreciable distance or reached a high temp b4 it seized. 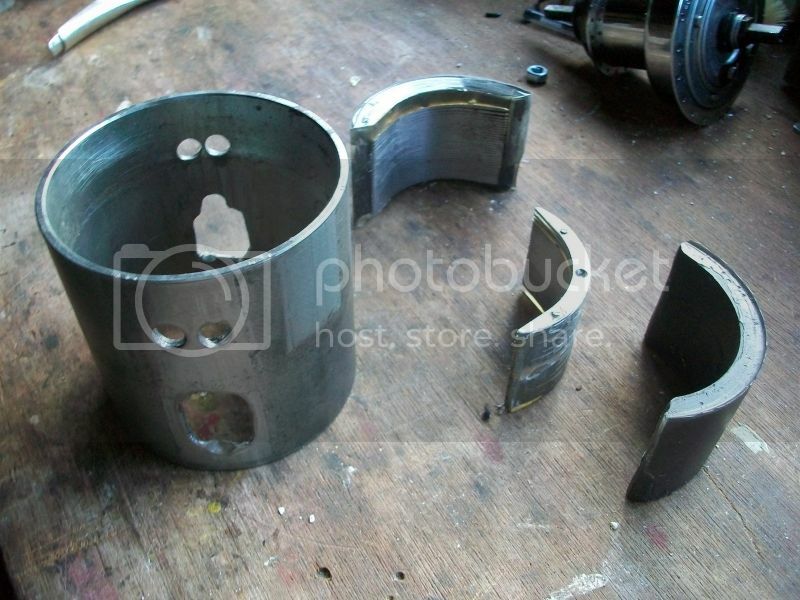 I have now removed both magnets from the housing, cleaned them up and am waiting for some Loctite 326 magnet bonding glue (kindly recommended by Area51) so I can glue them in properly and let it rip. An update on the cooling modifications - had a run out the other day with the motor with additional cooling holes - all was going well I thought but the new brush holders and brushes I fitted were not fitted securely by me and one of them came out partially and jammed the motor, resulting in a motor overheat and the brush holders melting, the fan holder melting and the commutator turning blue with the heat - not good. Anyway, having established the problem I used a new motor end cap with new brushes fitted, a fresh armature (think the old one is still ok), and refixed the melted fan holder with cable ties - then gave it a run out on full 36V power for 2 miles up and down hill and the motor temp did not go over 68 deg C !! So the cooling holes have kept the motor temperature below 70 deg C on full power for 2 miles, previously the temp would have been over 100 deg C !! I have posted a couple of pictures of the final set up with one of Dan's excellent fan holders. Have to say the fan holder is very easy to fit, a perfect fit and great value for money - top job Dan !! It only melted due to my incompetence but sometimes you learn most from your mistakes, I certainly did!! Wow, didn't realise it was quite that hot but thinking about it the temp gauge went off the scale just showing HIGH, and I think it reads up to about 120 deg c. The extra cooling holes, and also the holes I have put in the end cap which holds the brushes have certainly made a huge difference. The end cap is much softer and easier to drill than the motor casing, if anyone is looking for a simple way to drastically increase cooling if they are using a cooling fan drilling the end cap is a relatively easy job. 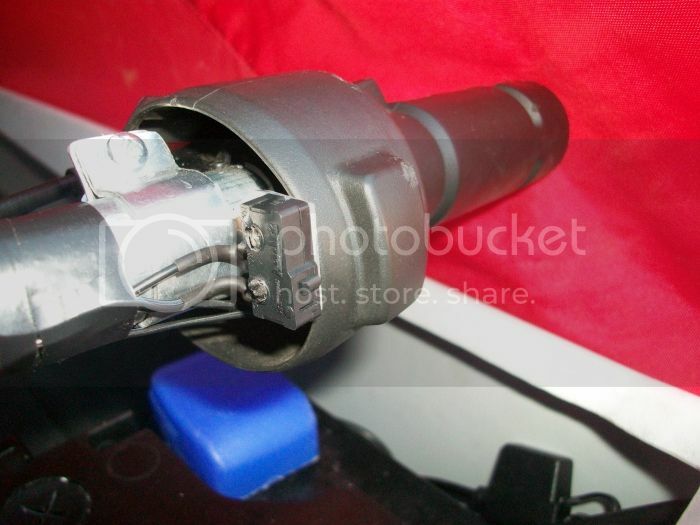 I melted the parts which connect the fan connector to the brushes, but I was able to remove the melted remains and drill a hole thru the connector and strap it back on round the brushes with some cable ties, although I will PM you Dan to ask if I can buy another fan connector from you. Had a longer run out today of just over 11 miles using 12,24 and 36v running - average speed just under 20 mph and motor temp didn't go over 55 deg c, and most of the time it was around 45 deg C so cooling fan and additional holes definitely the way to go, no nasty burning smells or melted components anymore!! Now that's interesting to know. 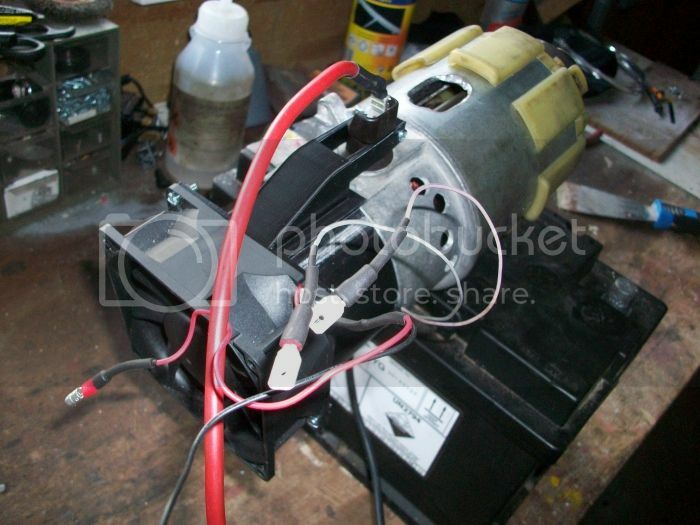 I have made small holes in my motor and they seem ok on 24v, but now I am intrigued to try it on 36v.